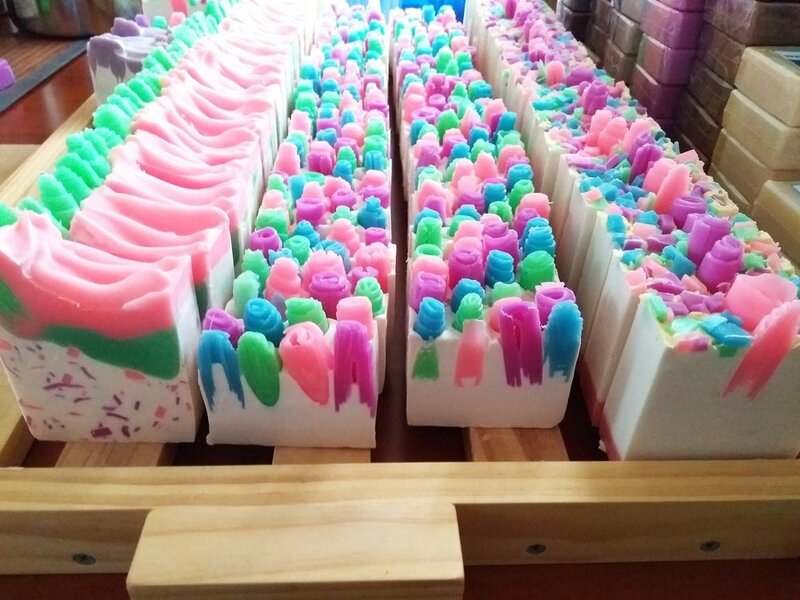 Next in the series of Stallholder Spotlights is one of our favourite groups, Spriggan Soaps! Whether you're looking for something to add a bit of luxury to your daily routine, a really thoughtful gift for someone special (check out their bundles! ), or something Soaper Duper, Spriggan Soaps should be your first call! Run by the soap expert Dustin Morris, Spriggan Soaps' handmade soaps are absolutely stunning, and sure to make you feel like royalty. Very clean royalty! Spriggan Soaps was born out of a craving for a new hobby. I became interested in soap making by watching hundreds of videos on Youtube and learning everything I could from top tier artisans based all over the world. After making my own soap for a while I was asked a number of times whether I sold them and I began to notice quite a good demand. After doing research on the market within Australia and Adelaide I launched Spriggan Soaps! Spriggan Soaps strives to push for the best looking and greatest smelling soaps while staying free of animal based ingredients. Inspiration for our soaps comes from all over the place. Food (especially desserts), natural scenes like the sunset and bush, architecture and stonework, and literature are just some of the places I get ideas from. Take care of your handmade soap and it will last far longer than you might expect. Keeping the soap out of direct water contact and allowing it to dry thoroughly after each use can help a bar last up to three weeks of daily use. Find us at our website and on our Facebook page. We always have a post pinned that shows all the events we will be attending. You can always purchase our products through the Facebook and website too, and we'd love to answer any questions you have about soap! We love coming to the Blackwood Markets because it is such a cosy environment. All the customers, other stall holders, and the organisers are extremely nice and always willing to have a chat or help out if needed. Blackwood Markets are also always finding new ways to improve the events and make them better and better each time we attend!